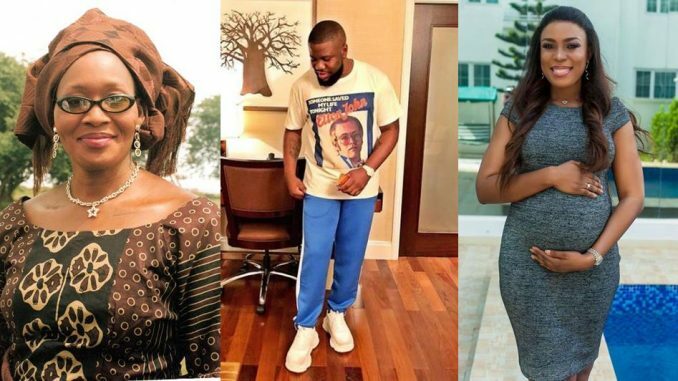 Controversial journalist Kemi Olunloyo has succumb to Hushpuppi’s demand of her apologizing to Linda Ikeji for all her derogatory words before he can donate to her medical bills. In reaction to this, the investigative journalist did not continue with her claims on Linda’s pregnancy, but she did what needed to be done by humbly apologizing. To Prove that her words are genuine, Kemi says having made peace with Linda she has decided to end her Journalism. The blogger donated to my prison health and wellness fund and I made a video thanking her. A year later she told the Punch newspapers that she sent me N100k while was “languishing in prison when nobody wanted to help her” Little did many people know that bail conditions keeping me in prison was not money related. Rather it was a surety and an international passport. I was very HURT that she said this to a paper and her fans. All this because I reported her as not being pregnant according to several newstips. I have decided to make peace with Linda despite how she ruined my name and brand after the gun story and an earlier family home wrecking incident. News is news and Nigerians don’t understand that. I have therefore decided to end my journalism career writing Nigerian news. A Nigerian socialite Hush Puppi whom I featured in my sarcasm yoruba skit #NgbatNgbati on @HNNAfrica on instagram was asked to donate to my medical bills to battle PTSD after my unfair prison detention. Hush wanted Linda and I to make peace and promised to donate if that happened. I cannot write an open letter as I have no strenght to write due to my mental illness PTSD. I did this video. Hopefully they will see it. Thank you Toyin Abraham, Tonto Dikeh who spoke at lenght to me on the peace initiative. Thank you Hush Puppi for being a peace advocate. Good luck everyone.